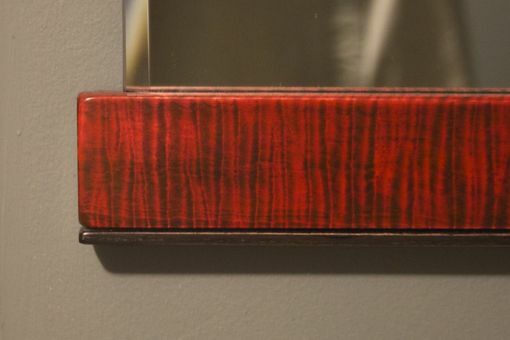 Red dyed mirror in curly maple. Small black accent strip on the bottom rail. The mirror has a 1/2" bevel. 1/4" thick glass. 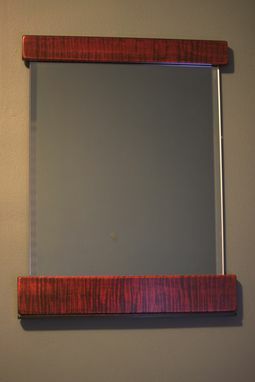 The mirror measures 15" w x 19" h overall. The mirror glass measures 13 1/4" w x 14 1/2" h.